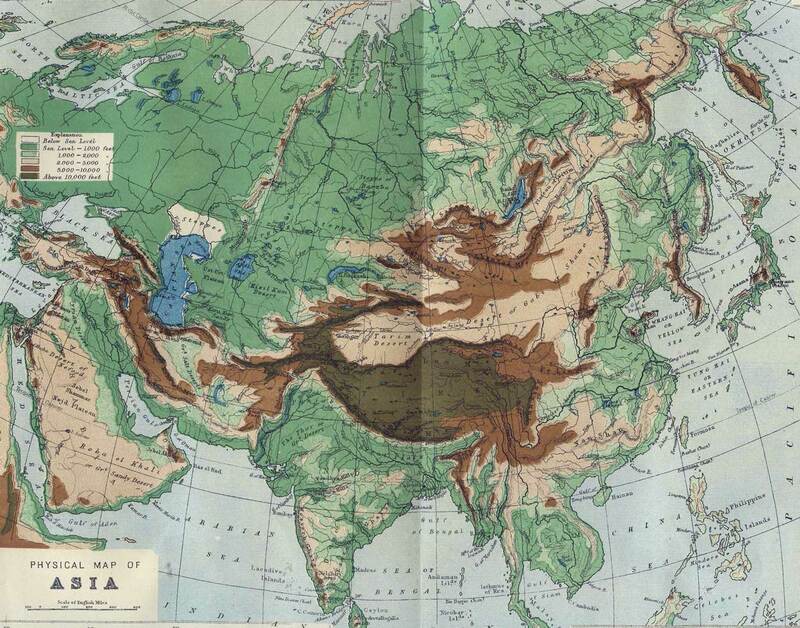 The scope and scale of the continent of Asia is truly amazing, especially to those who are seeing the grand details of the geography for the first time. The continent somehow manages to be a giant intimidating mass of potential teeming with growth, and at the same time a diverse kaleidoscope fractured enough to be broken down and segmented into thousands of tiny pieces holding a distinct geographic, environmental, and human culture within its fragile, and often disputed, boundaries. 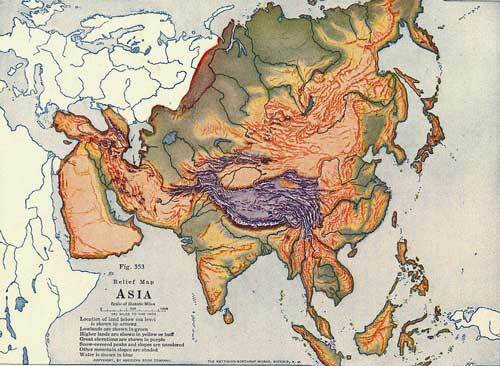 Three oceans flank the Northern, Southern, and Eastern sides. 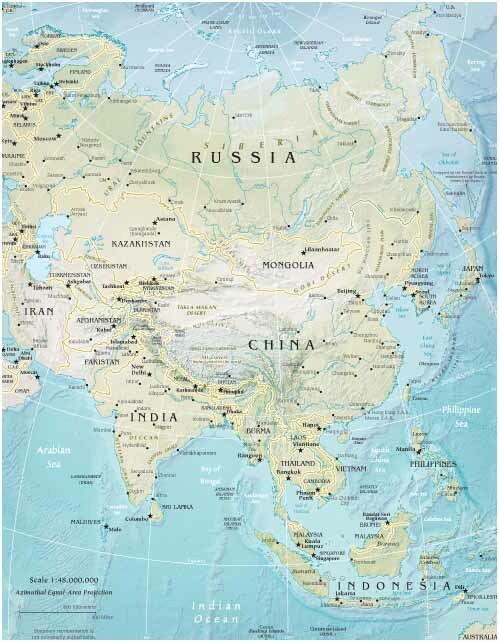 Coming clockwise around the entire continent you first find the economically prosperous Eastern coastline. Continuing clockwise you find a large group of islands lay to the far southeast of the landmass. 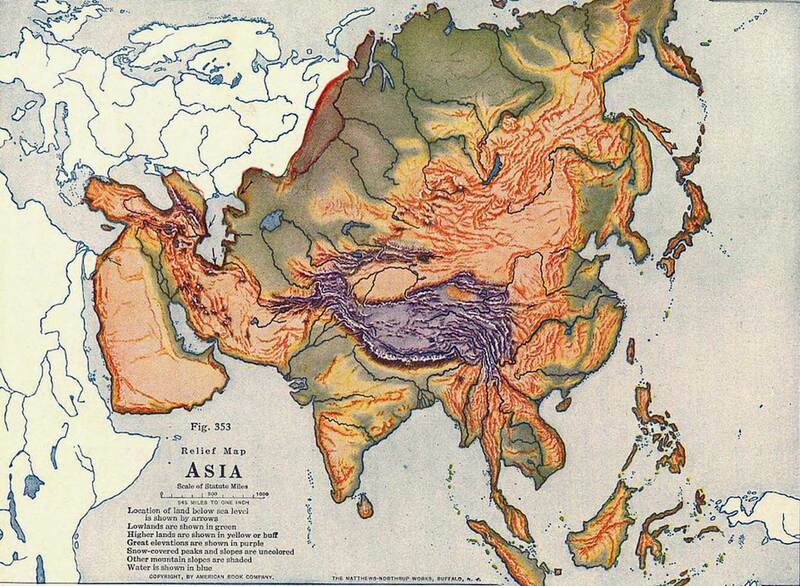 As we keep traveling right to left there are three big offshoots of land jutting out from the core, forming the Malay, Indian, and Arabian peninsulas. Continuing around the clock, the Middle East and Southwest Asia turn into the plains of the Northwest and come back around to the top barren regions of Siberian Russia. 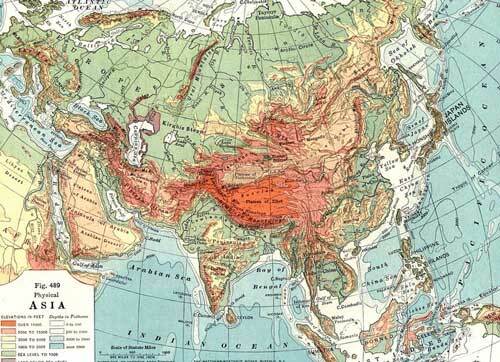 The central area is dominated by the physical presence of China and Russia.